Upon entering into our collaboration we shared ideas and written material to establish points of common interest. 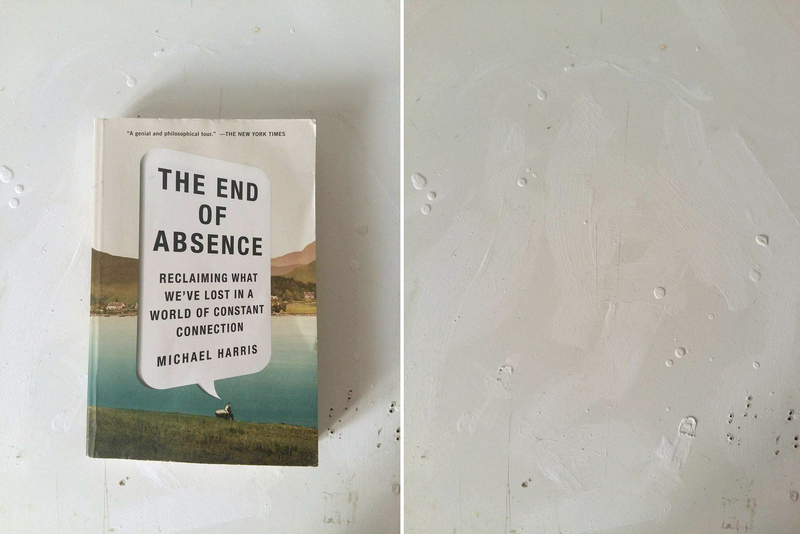 Through this discourse we read and shared ‘The End of Absence – Reclaiming what we’ve lost in a world of constant connection’ by Michael Harris. The theme of ‘presence and absence’ started to emerge in response to the physical distance between Poland and the UK, as well as through dialogue and the ideas we shared via email. It wasn’t until the End of November that the group finally met for the first time at the Academy of Fine Arts in Katowice, Poland. The themes of ‘presence and absence’ remained within our conversations at the Academy and formed the point of departure as we started to work together. Through evolving lines of enquiry and conversation ‘presence and absence’ was explored within the similarities and differences between Polish and English, firstly through mutually experimental linear drawings. The three artists work together in Katowice. Image courtesy Jonathan Slaughter, Izabela Łęska, and Sybilla Skałuba. Whilst at the Academy we were given a tour around the print studios and the typography room, we were all fascinated by the traditional methods of type setting, and the role that this medium had played as a the fine line between information distribution and propaganda within the history of Poland. It was interesting to find out that the type setting machinery was not made in Poland, rather each letter of each type font had been made outside of Poland, mainly in Germany and how important the ability to communicate via printed medium was and still is in Poland. 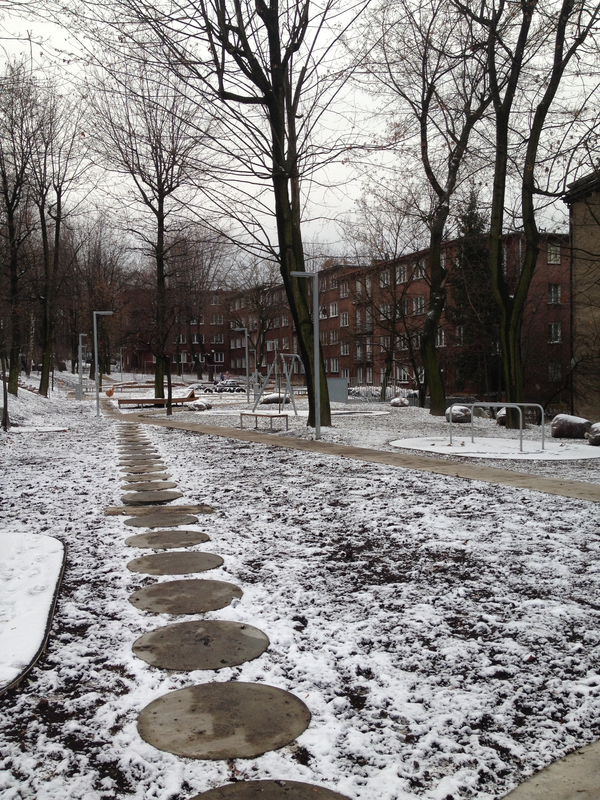 Katowice, Poland. Image courtesy the artists. Our conversation turned to the ease with which we had been able to communicate freely and we began to critically explore our email conversations, communications and the nuances of expressions that are lost through digital communications. It was intriguing to discover the additional presence of the diacritic letters in Polish, and that the English letters Q, V and X are absence from the Polish alphabet. 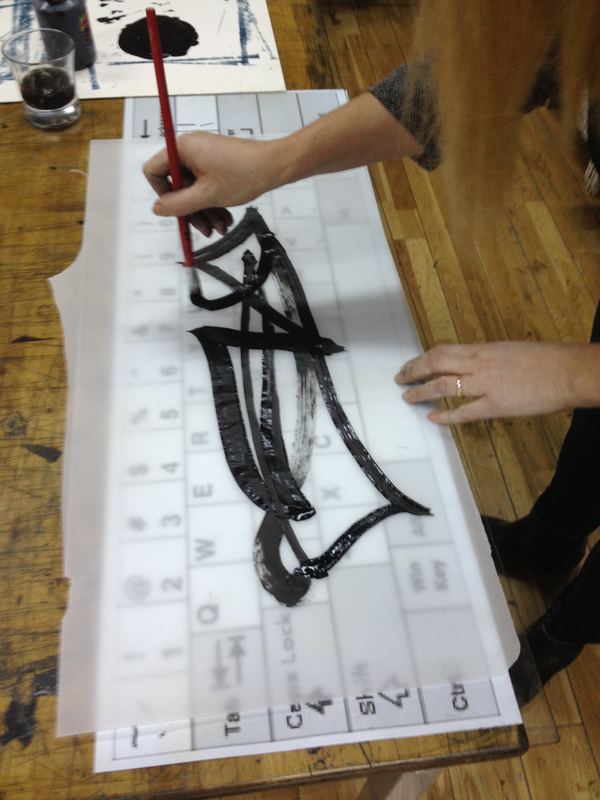 Jonathan makes a linocut to define a new language symbol using only the diacritical marks in Polish language. Image courtesy the artists. 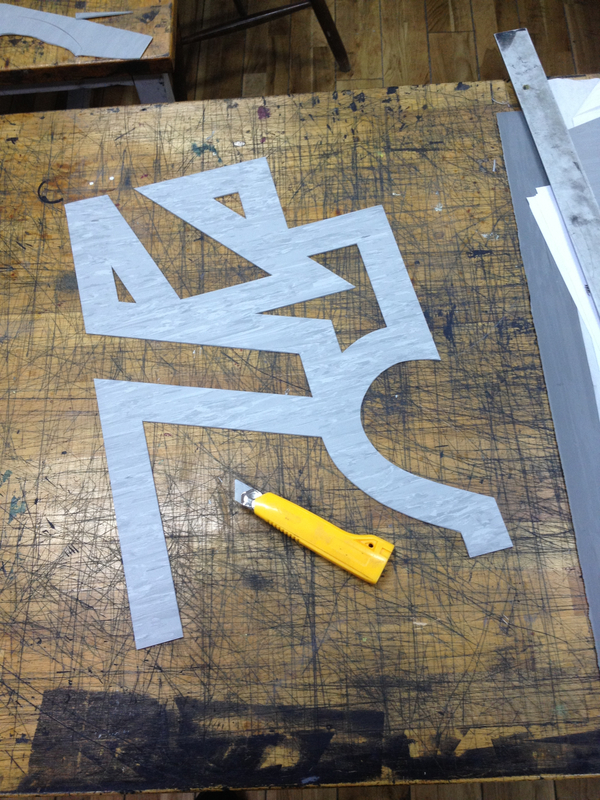 We extracted the diacritic characters from the associated letters and started to use the forms in a more abstracted sense, by repeatedly cutting the abstracted form of the diacritic symbol into equal sized square pieces of linoleum. We experimented with relief printing techniques, sequentially printing each linocut square on top of the last. It was interesting that from the three abstracted diacritic forms we used in the printing process, random areas of the print remained untouched by ink. To our surprise through the process of repeatedly printing the alternating linocuts the last diacritic symbol, which we had not consciously used, started to appear on the prints in front of us. Sybilla holds the results of printing the diacritical marks over one another – resulting in the fourth mark, appearing on its own. Image courtesy the artists. As we waited for the prints to dry our thoughts returned to our method of communicating through emails. It was interesting to find out how the diacritic letters, absent from a standard ‘qwerty’ keyboard are produced. 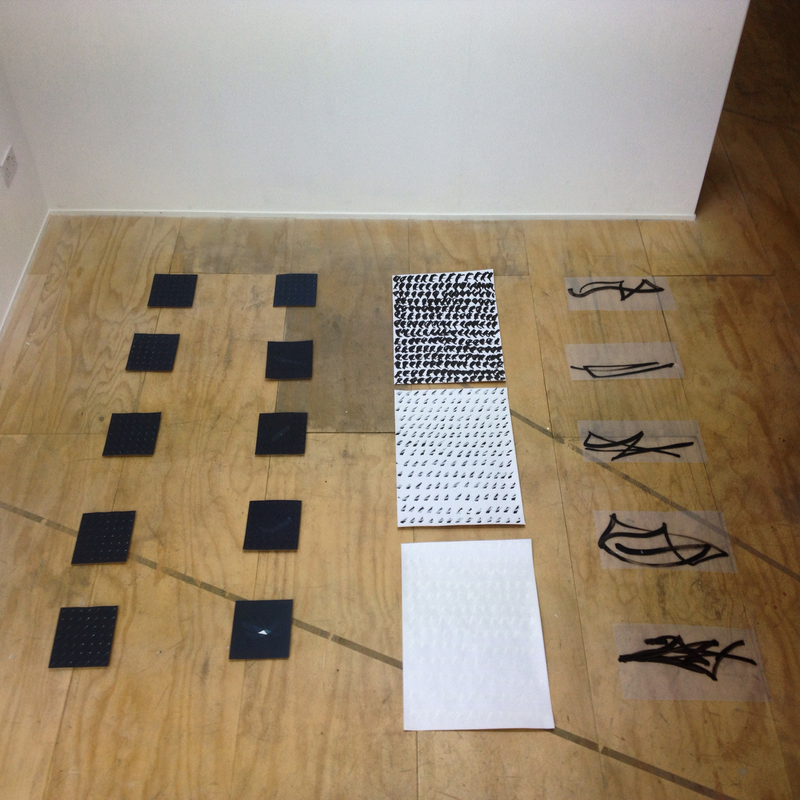 We returned to our original linear drawings and experimented with how are our names would look drawn as a continuous lines drawn from letter to letter using the layout of a standard qwerty keyboard, and the use of the alt key to form the diacritic letters. It became very interesting to use the familiarity of typing your own name and connect the keystrokes as a series of unfamiliar lines. The resulting images had a strong calligraphic sense, yet some how also had the look of a graffiti tag. It was interesting that the gestures somehow revealed a new sense of form within the familiarity of each of our names. Sybilla tries to write her name with a ‘personal symbol’. Image courtesy Jonathan Slaughter, Izabela Łęska, and Sybilla Skałuba. Each gesture also revealed a lot about the person who had made the marks, although we were not looking at words it did feel like we had an insight into the mind of a Graphologist analysing the characteristics and patterns of handwriting to gain an understanding of the personality of the mark maker. We chose to show the printed multiples along side, larger versions of the liner name forms and three experimental pieces, which we produced in the Hornsey Town Hall Gallery. Three of the works by Jonathan Slaughter, Izabela Łęska, and Sybilla Skałuba. Image courtesy the artists. 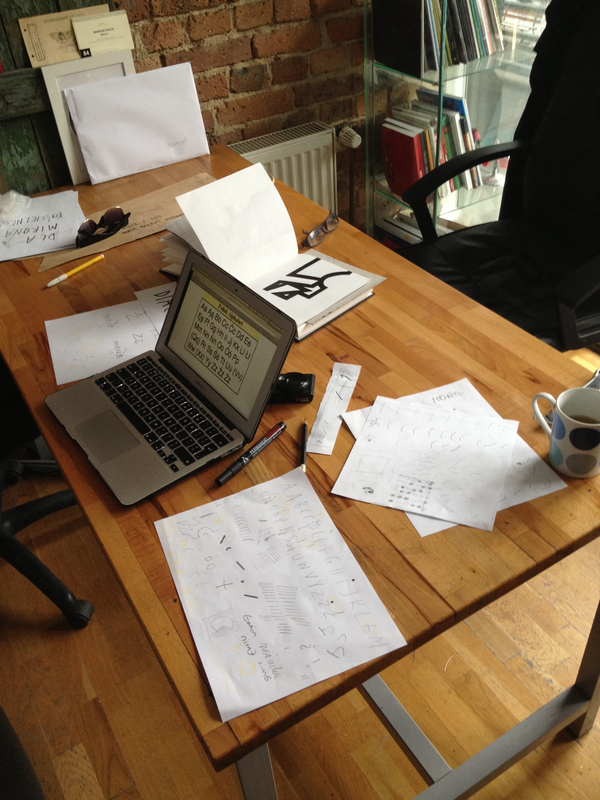 We repeated the same diacritic forms over and over again, going from black ink to white ink to see if we could through the act of constructing the marks, nullify them, through a process of presence as visible representation to eventual absence on the white paper. Jonathan demonstrates the ‘personal symbol’. Image courtesy Jonathan Slaughter, Izabela Łęska, and Sybilla Skałuba. A personal symbol in a collaborative and interactive project by Jonathan Slaughter, Izabela Łęska, and Sybilla Skałuba. Sybilla demonstrates how to write your name with a single line. Photo credit Izabela Leska. As our collaboration developed in London, we returned to one of our first inspirations – a fairy tale by Hans Christian Andersen ‘The Emperor’s New Clothes’. The calligraphic line took on a similarity to the threads of a cloth. As we had used black and white ink to explore the idea of presence into absence we experimented with a single long thin plait, woven from two white strands and a single black strand of wool. As the proportions of the plait were uneven, it is hard to say whether the object is finally white, gray or black. 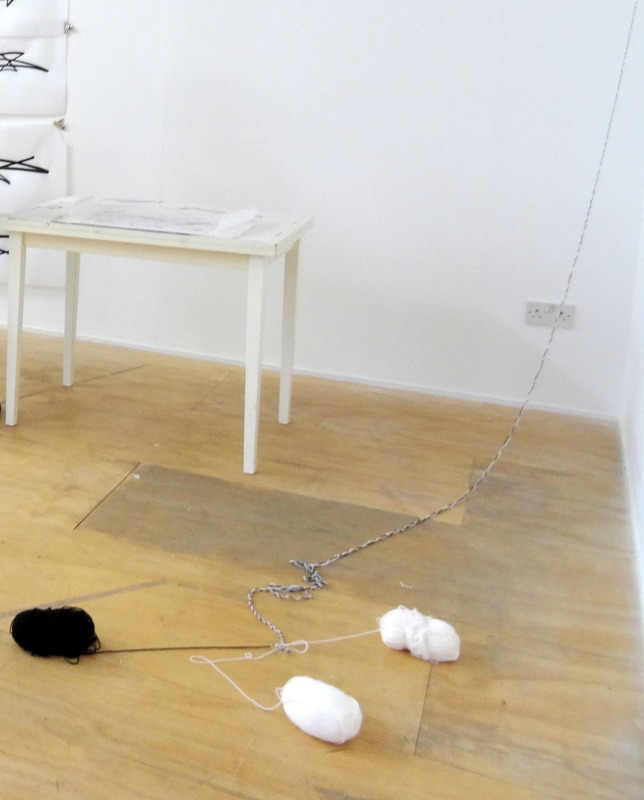 The plait was left unfinished with the balls of wool lying freely on the floor of the gallery, suggesting that all of the work is still an ongoing process. The intertwined wool as a symbol of ongoing process. Image courtesy the artists. 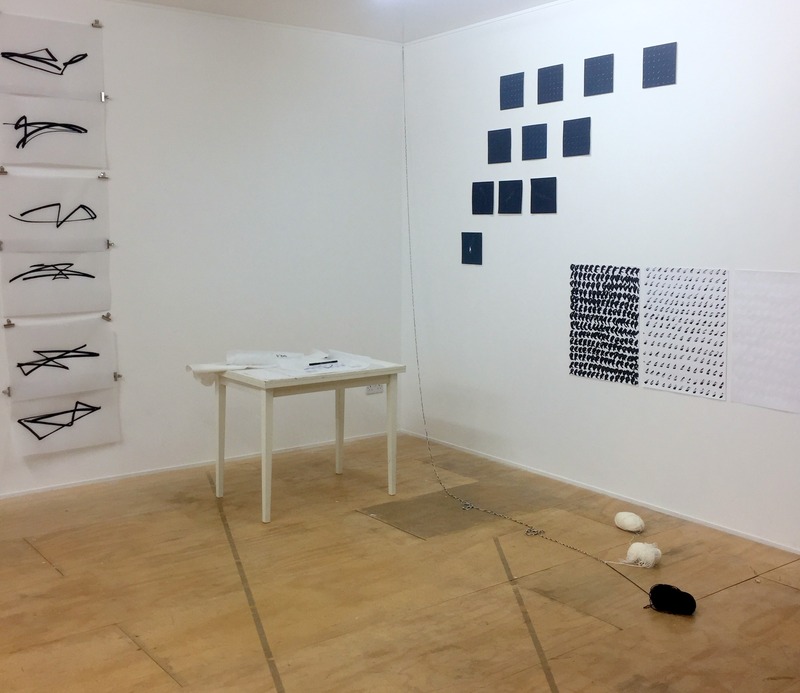 Jonathan Slaughter, Izabela Łęska, and Sybilla Skałuba, installation view, at Ply Gallery, Hornsey Town Hall, London. Photo credit Kelise Franclemont.